It seems like fresh avocados have burst on to the scene lately. 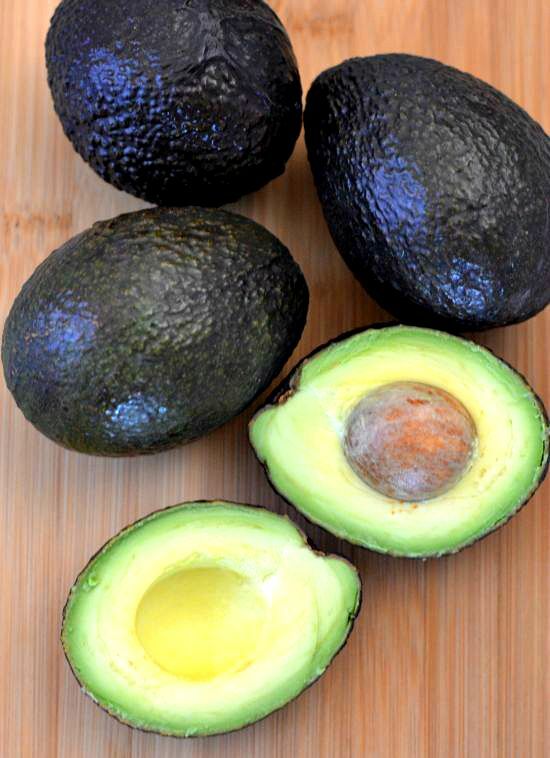 You can find all kinds of recipes using those healthy little gem in this 42 Avocado Recipes post. There are so many ways to eat avocados. I’ve been eating a 1/2 or whole avocado daily for the past year. Not only are fresh avocados delicious but there are health benefits associated with eating avocados regularly. For many years I never ate any avocado and now I can’t seem to get enough. I love to add sliced avocado to a salad. Adding a few slices of avocado to any sandwich makes a boring lunch go from ho hum to wowzer. 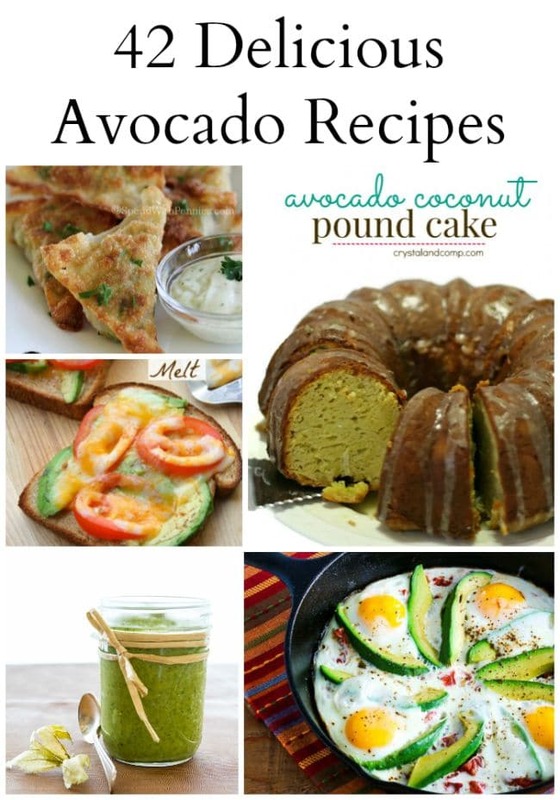 I can’t wait to try Crystals Avocado Coconut Pound Cake recipe. What better way is there to turn a pound cake recipe into a healthy dessert recipe than to add avocados? Thanks for sharing our Avocado Tuna Salad…all of these recipes look delicious! This is such a great round up of avocado recipes. Thank you for featuring my avocado cream sauce. I know the other recipes will be just as delicious. And who ever though to use avocado in desserts. That has to be tasty too. Thank you and you’re welcome. I can’t wait to try that Avocado cake recipe! You’re welcome. I love avocado! Who knew there was so much to make with an avocado? Probably every one but me! lol. I’m pinning! Thank you for sharing with us at Brag About It! Thanks for sharing! I love avocados and oh my yes you can use them in so many ways! I love advocados and this recipes look so good! Yum! Cathy What do you think about that Coconut Avocado Cake recipe? I love avocados! Thanks for all the great recipes! Love this because we are in SoCal and almost always have avocados on hand. We don’t use them to add to a bunch of dishes so this will give me somewhere to start. I love avacados! What agreat collection of recipes! I would love if you stopped by My place and shared your stuff on My 2 Favorite Things on Thursday – Link Party!! What a great list! I love avocado! I will check out some of these. Thanks for linking up with Idea Box. Now that is a delicious collection. I love avocado on or in everything. Although I have not ever had it in a cake. Thanks for bringing this huge collection to #HomeMattersParty. Love avocados! Awesome round-up of deliciousness! Visiting from Home Matters Linky Party! 🙂 Thanks for sharing.